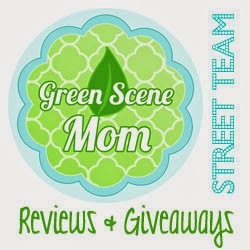 Today's review is from Carseat Canopy. They have covers for your carseat in 2 different types. They have a standard where you can buy just the canopy or they have a 5 piece set. I will be reviewing their 5 piece set in the print Lovely Whole Caboodle and it retails for $79.95. First you add the Minky slip cover and head support to any car seat. Next you Put on the Minky umbrella replacement and you can add the baby lap blanket with minky underside. Lastly you put on the Carseat Canopy with minky interior and 100% cotton outer. Here is how it looks with all 5 pieces. Also a side view of just how cute this is. So I went from this before and after.. This is perfect if you have had a boy and want to reuse your carseat for a girl or either or. At Saddles Inc - we assurance that the Clients always gets a excellent Products Manufacturers of Seat Cover, Steering Covers, Sofa Furniture, Car Seat Cover, Gear Knob Covers, Seat Cover Suppliers in Bangalore, India.